Want a lush garden? Join the club, who doesn’t! A lush garden creates a sense of history, privacy and beauty. 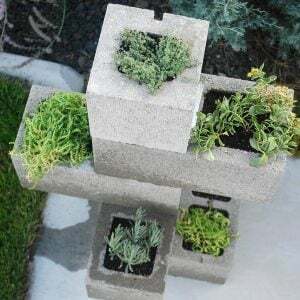 You can have a lush feel to your garden space if you follow a few guidelines, show a little bit of patience, and take care of your plants needs the right way. It doesn’t have to be expensive, and it doesn’t require having a full time gardening staff. 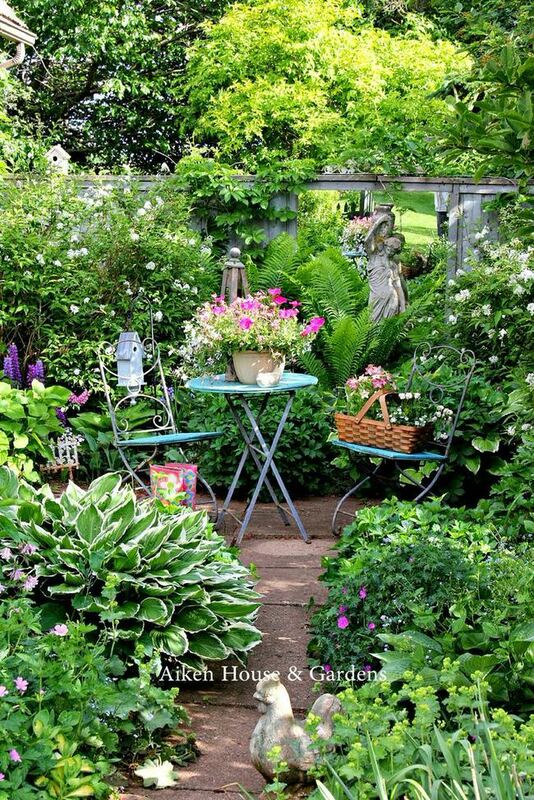 Here’s how to make a lush secret garden that is all yours! Soil comes first. If you want your plants to grow lush and full, good soil is a must. Every year add organic matter to your garden beds, and if you are starting from scratch, till in tons of compost before you plant. 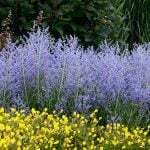 Even with good soil, most plants need regular fertilizing to grow to their full potential. Learn their needs, and use a time release and/or a liquid fertilizer on a regular basis. Lush gardens tend to have a lot of green in them, so go with that! Don’t just plan for flowers, plan for lots of green space too. 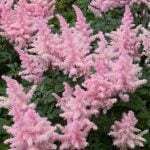 Evergreens, ground covers, leafy foliage plants and perennials and annuals can fill the bill. 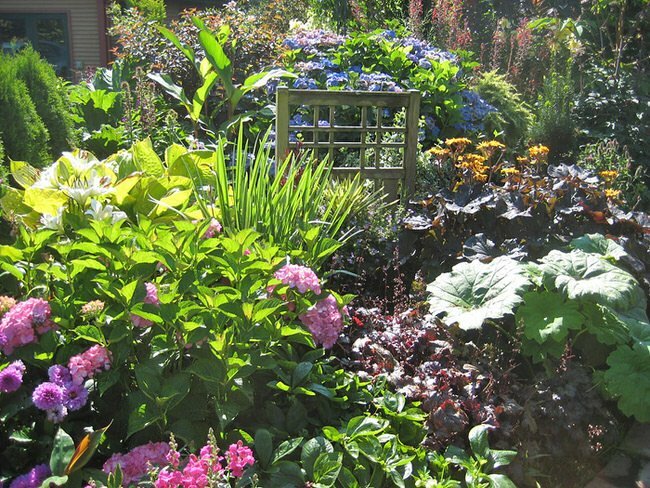 Photo below, is from Next Generation Gardener, and is a shot of a garden on Vashon Island, Washington. 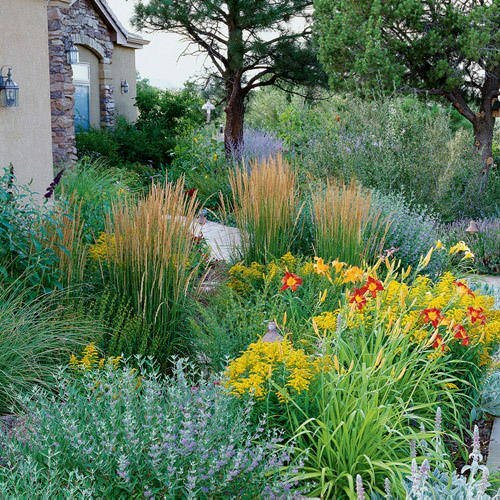 Layer your plantings in your yard to envelope the space. This gives you a lush, private feel. Taller plants on the outer edges of the garden, and working down in height. Add hardscape structures to fill out the garden with substance, such as an arbor or pergola. 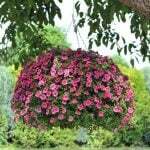 Then plant a fast growing vine to cover the structure with foliage. Height always adds a lush feeling to the yard. 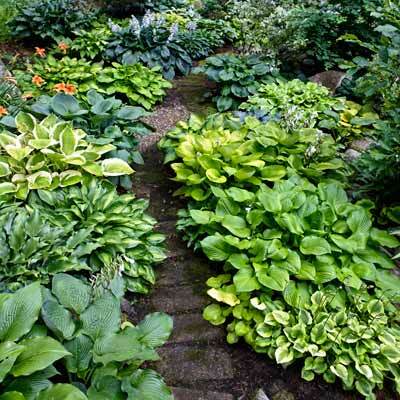 Use plants with broad or coarse leaves to add a lush look, such as Hostas. A tropical garden is one of the lushest around, and is filled with large shiny leaves. Take a cue from nature and try to replicate that look! Ornamental grasses add height and fill in space quickly. Allow ground covers to fill empty soil (they don’t crowd roots of other plants, so use with abandon) and have an almost instant lushness to your yard. Tuck garden ornaments partially under a planting to give a slightly overgrown look. It adds to the lush feeling. Don’t waste water, but don’t withhold it from thirsty plants either. A regular watering schedule that satisfies the needs of the plants will help them be full and healthy. Use mulch to save moisture in the soil. 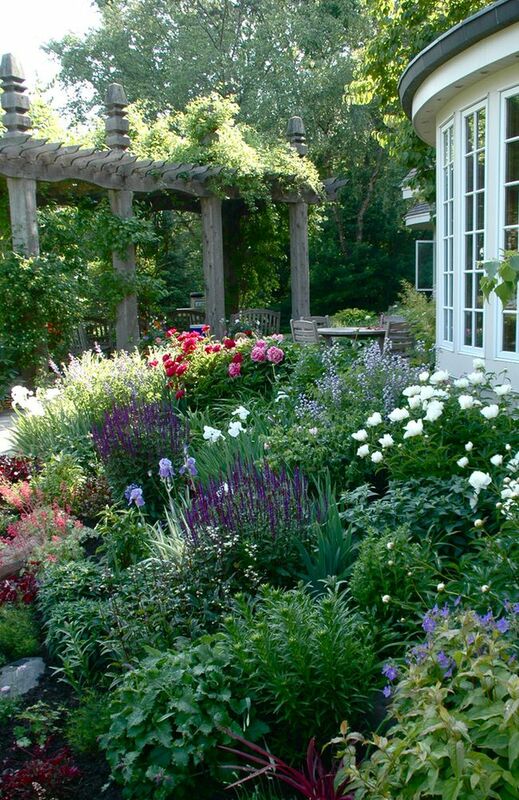 Lastly, take inspiration from these lush gardens, and make your garden lush! 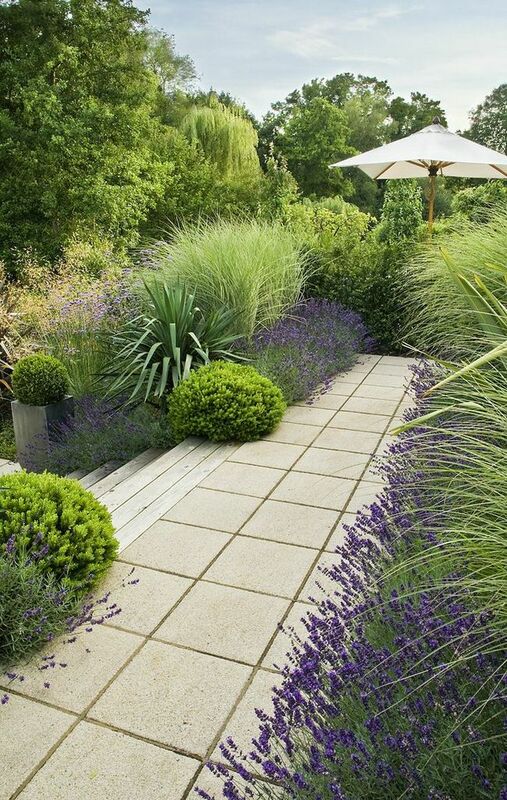 This photo is from a garden created by ‘Acres Wild‘ and is a great use of grasses to fill in a space. Also take note that much of this garden is foliage. You don’t have to choose between flowers and foliage though, use both! ‘Fine Gardening‘ shows us that you can pack in the plants, and use a pergola for height to create this AMAZING garden. Fast growing grasses, a quick growing maple, and an arbor create this BHG garden space. The Aiken House and Gardens, on Prince Edward Island, Canada. Half hidden ornaments, a path, and even the seating space looks like a private oasis. 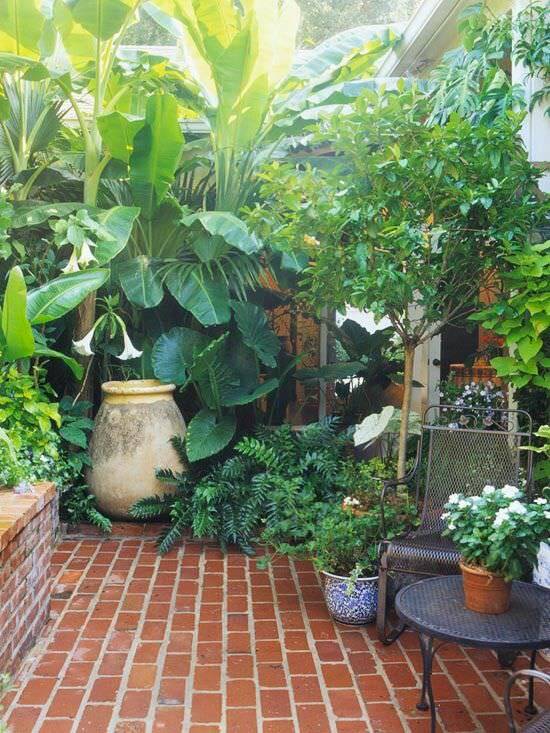 This photo from Pinterest shows how to use tropical plants and trees, and height to gain a lush feeling in a small patio space. Sunset Magazine shows us that even hot, dry spots can look lush. Are you seeing a theme here with the grasses and the height? This one is “Calamagrostis” ‘ Karl Foerster’. 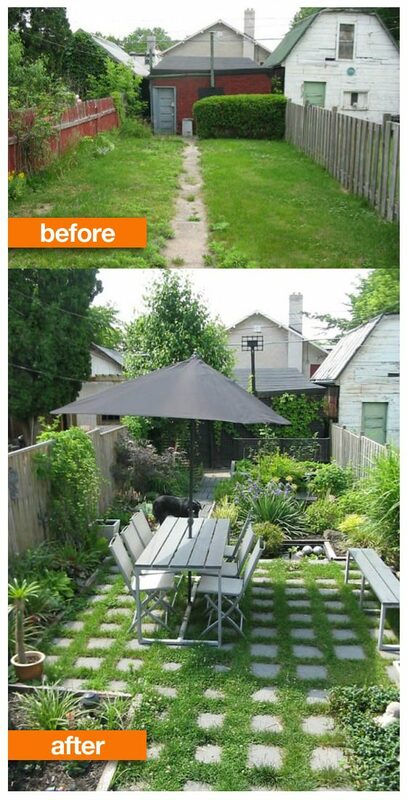 ‘Apartment Therapy‘ shares this backyard makeover that uses ground covers to create a lush garden look between pavers. ‘This Old House‘ uses Hostas to create a lush foliage forest! 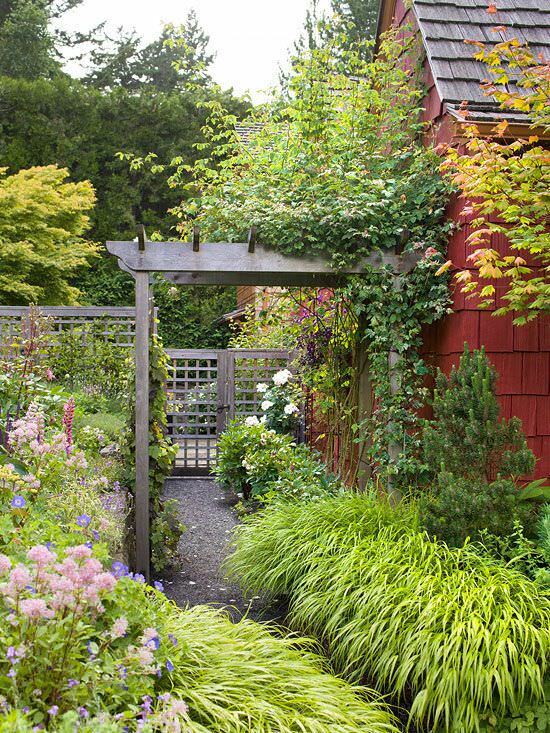 Finally, this heat loving garden plan from BHG uses laying of tall to short to create a lush look. We hope you enjoyed learning about how to make a lush garden space for you and your family to enjoy! 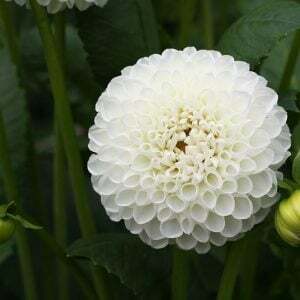 We think you should jump right on over to our posts on Privacy with Plants and Fabulous Flower Beds. The garden that shows grasses along with lavender and credited to Studio Blog is my former garden and was designed by http://www.acreswild.co.uk. 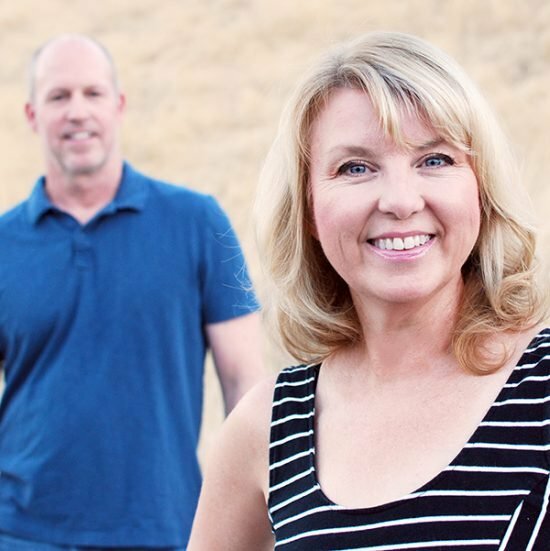 You can check it out in their online portfolio under Form & Foliage. Thank you for letting us know Alison! What a gorgeous garden! We have updated the post with the correct credit. Your posts are inspirational. I can’t wait to get my fingers into the dirt! 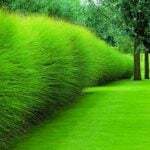 The tips you’ve described is the basic and most people just ignore them while installation of garden landscape. Thank you Linda, we will correct that! 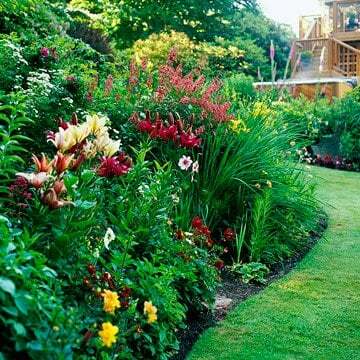 Gorgeous garden! So, how come you didn’t correct it? Thank you for bringing it to our attention… sometimes things get away from us. It now reads “Canada”, and not California. Love all you ‘Ve done and post. I have a garden here in Puerto Rico and I just love to plant everything I can. Just love gardening!